The memoir of a courageous woman on a quest to find love and places to belong. 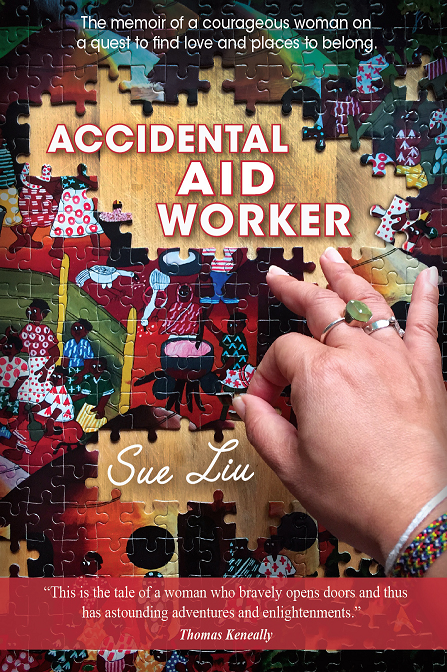 Sue Liu stumbled into voluntary aid work in the wake of the 2004 tsunami, during the civil war conflict in Sri Lanka. She teamed up with a tour guide, a Catholic priest and a community of refugees and began a ten-year obsession with helping people in need, using her generosity to help orphaned children in Cambodia. This is a moving account of one woman’s drive to survive and support others, while masking battles of her own. Along the way, she embarks on a harrowing journey through mid-life crisis, disconnection and chronic depression. She is forced to face inescapable truths about herself in order to become the woman she really wants to be. Sue shares her most vulnerable moments alongside quirky tales involving priests, nuns, a rabbi, terrorist attacks, natural disasters, a tuktuk accident, refugees, orphaned children, surgeries, fishing for marlin and, at times, spontaneous singing and dancing with children. 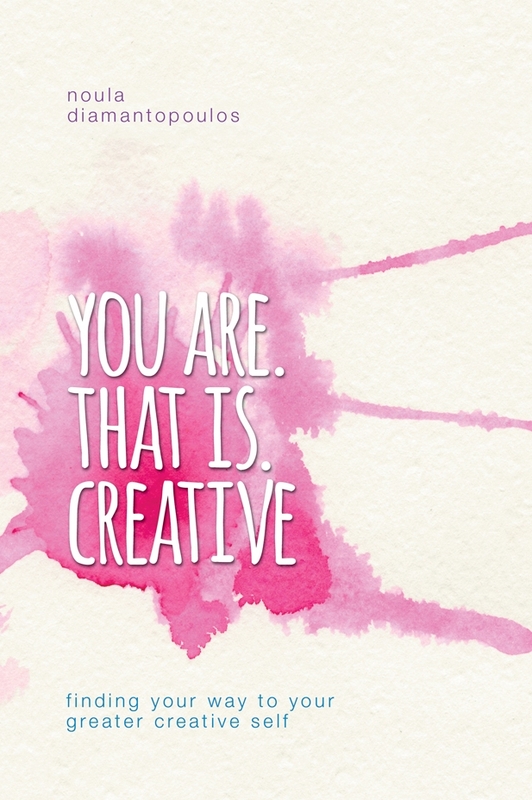 This book takes you on a journey that unfolds your innate creative process. Noula Diamantopoulos combines stories from her psychotherapy/coaching and art teaching practice and introduces you to ‘your interior map’: a process which helps you to uncover the way you do things and the way you make things – whether you are making art or making a decision. In five short steps, you will come to know things about yourself that really matter when it comes to better understanding your innate creative process. There are three sections in this book, in one of which she writes on topics of creativity and self-development and encourages you to be curious and inquisitive. Her Quest technique, a dialogue of questions only, is another tool that she shares. Quest is about suspending the answer and discovering the power of a well-developed question. The book includes art and writing exercises to wake up your imagination, and reflections to take your journey deeper within. A riveting tale to be enjoyed by followers of horse racing, history and female pioneers. A fictional interpretation of the true journey of Hedwick 'Granny' McDonald, an ordinary woman with an extraordinary passion for training thoroughbreds in her own spirited way, during an era when racing was almost totally male dominated. By 1924, Granny was a leading showjumper and the first woman in New Zealand to be granted a professional training licence. Over the following decade and a half, she became one of the Dominion's leading trainers of thoroughbreds: sprinters, stayers and jumpers. Her career reached its climax with Catalogue, a little-known eight-year-old gelding, winning the 1938 Melbourne Cup. However, Granny would not become a household name in Australia or New Zealand as the Victoria Racing Club refused to credit her with training the equal-oldest horse to win the prestigious two-mile handicap. 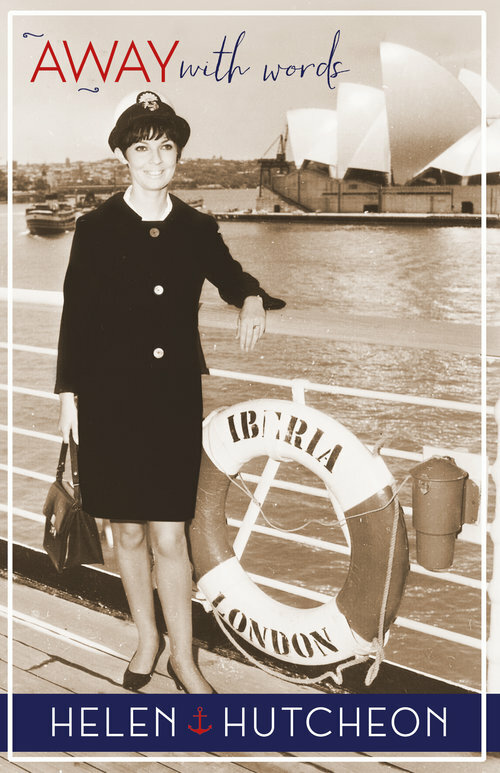 Australian journalist Helen Hutcheon has always had a way with words and words have taken her away on incredible journeys during a 60-year career with P&O Cruises, Woman’s Day, the Australian Women’s Weekly, Vogue Living and Travelweek. Travel from the fabulous ‘tent city’ near the ruins of Persepolis where the 2,500th anniversary of the founding of the Persian Empire was celebrated, to Saigon during the Vietnam war when Woman’s Day played Santa to thousands of orphaned and refugee children, to ‘brown bagging’ in North Carolina and a bloodied ending in a search for the best curry in Fiji. Helen takes the reader across the globe as they are introduced to icons like the Shah of Iran, Princess Grace of Monaco and Audrey Hepburn, encountering people and places now gone forever. Away with Words evokes a long-gone era of journalism when writers bashed out stories on clapped-out typewriters using carbon paper to keep copies, and photographers brought their film back from the other side of the world to process it in the office dark room. Many of the people and places in this book are gone forever. Breaking the rules on growing native Australian plants. The compelling story of a devastating family legacy. A woman can be a mother, wife, friend, a force in business, a spiritual guide and a person who found peace and redemption in recovery. Every month, Lorraine Wood tells the story of her devastating family legacy of addiction in the hopes that it will inspire people to start, and stay, on their own difficult path to addiction recovery. 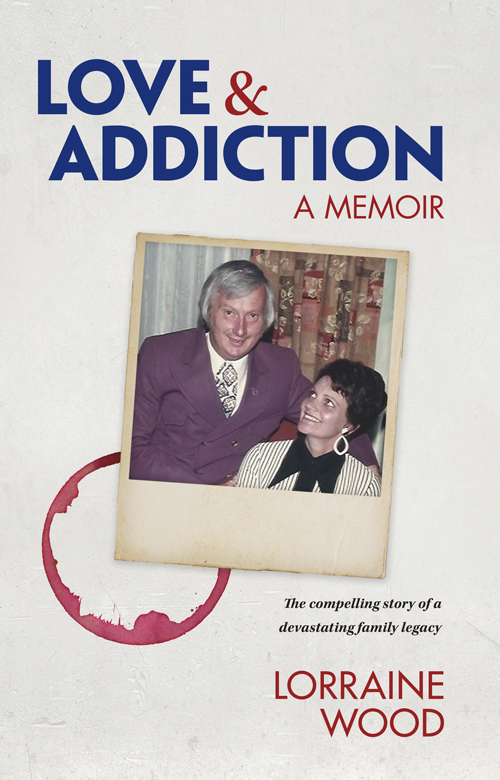 Love & Addiction is her heart-wrenching memoir that records her story. At 50 years of age, Lorraine finally understood the true generational damage of addiction. When one person is addicted, an entire family suffers and needs their own rehabilitation and support to truly recover and heal. Lorraine’s purpose in life was born. In 1993 she and her soulmate Bill took the greatest financial risk of all and opened South Pacific Private – a hospital that specialises in addiction treatments. Since Bill’s tragic death, Lorraine continues to run the hospital solo, now known as the only Australian equivalent to the renowned US treatment facility, The Meadows. to a 7 day detox for your home. The challenge is to simply walk through our homes and organise our environment organically. In our busy lifestyles, very few of us take the time to stop and take note of the everyday choices we are making in regards to our immediate environment; our homes. Good marketing should not dictate our standards, we need to be our own person, to research brands, products, materials, and understand and appreciate every item that enters our home. Whether it is food, laundry products, clothing or appliances knowledge is power, and wisdom is what we need. 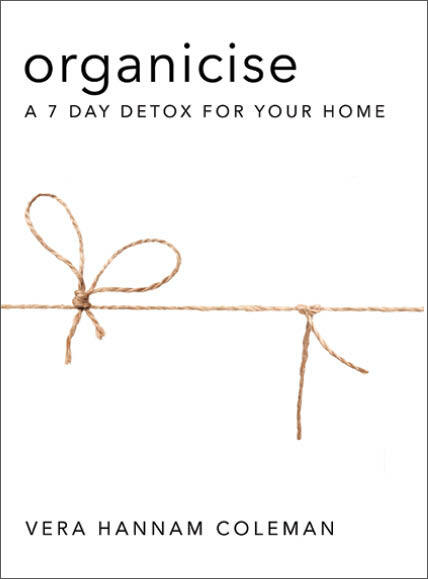 Organicise is a 7-day detox methodology to truly detox our homes and let the fresh air in. Following Vera's five-step process is a simple, easy and effective way to fine-tune our lives to what is important. Organicise offers the reader the opportunity to increase their knowledge in a manageable way, with the result of making informed choices and being equipped to directly impact the health of their home environment. and is not available in bookshops. Shanghai's Nanjing Road is internationally famous for its iconic art deco department stores. These stores are not just about shopping. They are not just about selling modern goods from around the world. They are about entertainment and they are about pleasure. But if you were to ask who established these stores, there would be very few people who would know the answer. 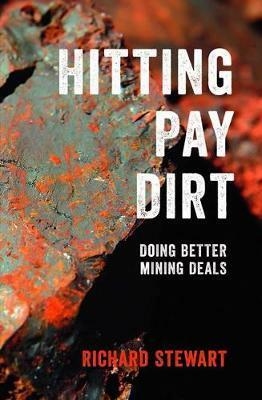 Even fewer would know the names of the Chinese-Australian merchants who were key players. It is no exaggeration to say that the department stores of China and Hong Kong were built on the back of Sydney's Haymarket banana trade. 'Designer Baby' is a heartwarming and inspiring personal story about the strength of family, the universal love of parents, and an uplifting reminder to never lose sight of your dreams. 'The End of All Our Exploring' is an unconventional love story, set against a backdrop of some of the world’s most breathtaking scenery, but it is also a young woman’s lament for all she has lost, a meditation on grief – and a courageous attempt at acceptance and understanding. Hello Baby! uncovers all the myths of perfection new mums see on social media and provides down-to-earth, no nonsense advice about everything you need to know about your baby’s first year. With casual style and a hilarious sense of humour, Heather Irvine, a psychologist and mother who works with new mums every day, acts as the friend sitting across from you in a cafe who always understands, constantly reassures, gives you the best practical pointers and shares her muffin with you.